If you’re not familiar with Hometalk, it is a great source for DIY home decor inspiration – from holiday decor, to furniture makeovers, to more intense home remodeling projects. I recently started sharing a few of my projects on the site, and my chalkboard paint file cabinet was a particular hit. The folks at Hometalk asked if I would curate a board with my favorite chalkboard paint projects submitted on their site. 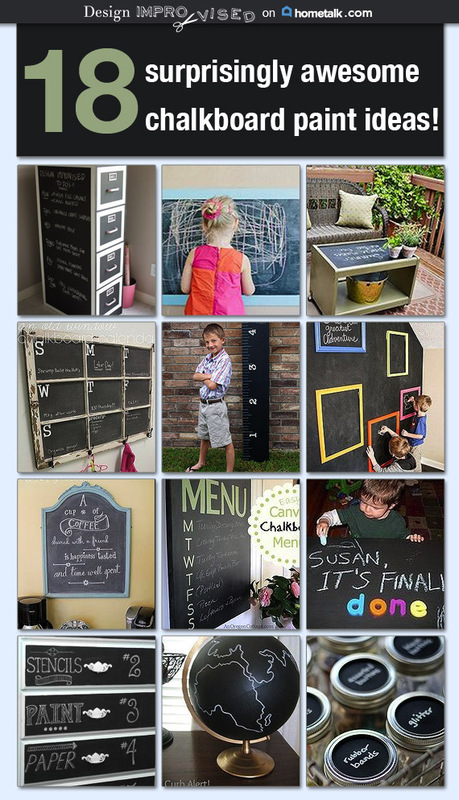 It turns out there was no shortage of inspiration – there are over 800 chalkboard paint projects! Head to my Chalkboard Paint Ideas board on Hometalk to see more details on each of the ideas above. What have you made with chalkboard paint? I’d love to hear!